A new image from Your Highness is now available online. 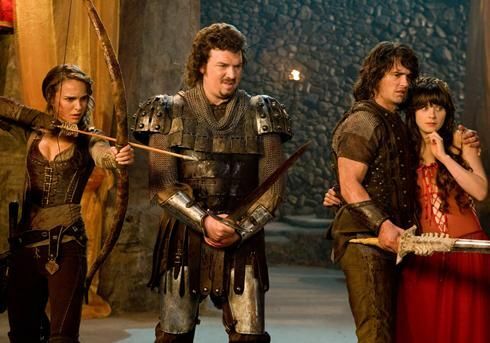 Directed by David Gordon Green (Pineapple Express), the medieval adventure/comedy stars Danny McBride and James Franco as brothers who embark on a quest to save Franco’s bride-to-be (Zooey Deschanel) from being deflowered by an evil wizard (Justin Theroux). The brothers are joined on their journey by a warrior (Natalie Portman) who has ulterior motives and, from the looks of the trailer, hilariousness ensues. Hit the jump to check out the full image for yourself. Your Highness hits theaters on April 8th, 2011.